The average person spends more time in bed than in any other place. 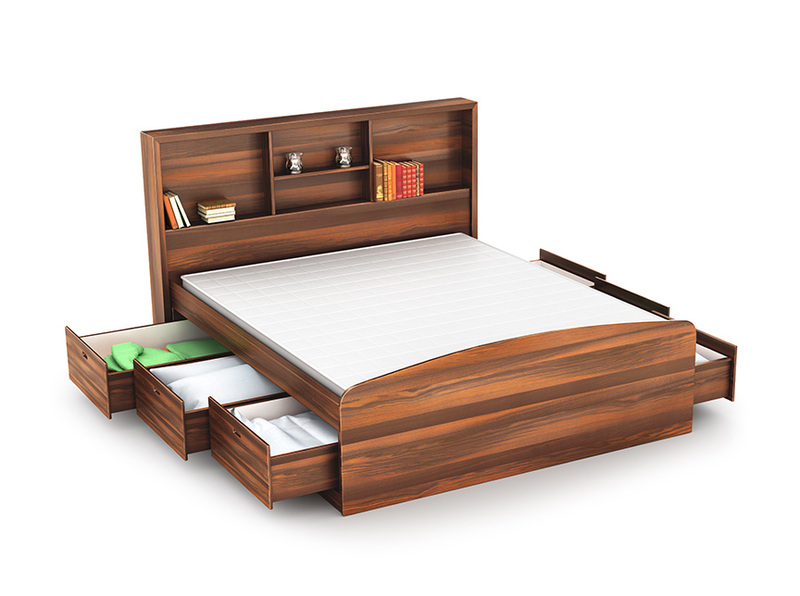 Your bed is your sanctuary and an important part of your personal health and well-being, so when you need to put your bed into storage, it’s important to get the details right. In today’s blog, the pros from Affordable Family Storage in Des Moines are here to provide helpful tips and tricks for protecting all the components of your bed while in storage. Read on to learn more! First thing first: wash all of your bedding linens, pillow cases, blankets, comforters, and other fabric items, following the manufacturer recommendations. Ensure that all of your items are completely dry before you put them in storage. Even a small amount of moisture can result in major damage after long-term storage. Place your bedding items in a sturdy plastic container with a tight-fitting lid. Make sure that the lid is not completely air-tight because an air-tight seal can actually result in a build-up of moisture that will damage your fabric materials over time. Affordable Family Storage Quick Tip: If you would like to use solutions for pest protection, we recommend using cedar balls rather than mothballs. Cedar balls have a more pleasing smell and are actually more effective at keeping pests away. Before storage, ensure that the mattress is clean and dry. Treat any stains and vacuum both sides of the mattress. Use a breathable, protective plastic wrapping material to enclose the mattress and the boxspring. Purpose-designed mattress covers are recommended. When storing mattresses and box springs for long periods of time, lay them down flat rather than upright on their side. This will help to preserve the springy, cushiony comfort of the items. Take apart the bed frame and headboard, making sure to carefully save every piece of hardware for later. Gather all the hardware and put it into a plastic bag, then seal the plastic bag and secure it to the underside of the bed frame with staples or tape. When storing the bed frame and headboard, place scrap pieces of cardboard between every item to prevent scraping and allow air movement between items while in storage. Moisture is the biggest threat to long-term storage of bedding materials, even a small damp area can become a hotspot for mold, mildew, and permanent damage. Wrapping larger items in plastic wrap and storing smaller items in sturdy containers will help, but humid conditions and temperature fluctuation can still cause serious damage to your bed items. Consider climate-controlled storage units from Affordable Family Storage. Our climate-controlled storage units manage humidity, temperature, and air quality, so your valuable belongings are always well-preserved. At Affordable Family Storage, we value and protect the things that mean the most to you. Your bed is a place for rest and relaxation, so when you have to put your bedding items into storage, we want you to rest easy knowing they are well preserved. With helpful advice, climate-controlled storage, and high-quality customer service, Affordable Family Storage is here to help. Contact us today to learn more about everything we have to offer.